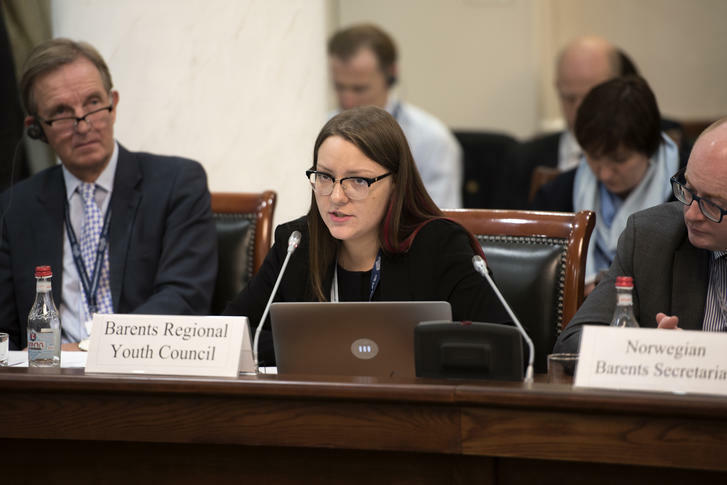 BRYC spoke on behalf of Barents youth at the 16th Ministerial Meeting of the BEAC in Arkhangelsk, as Russia handed over the chairmanship of the Barents Euro-Arctic Council to Sweden. On 19th of October, a rainy city in Northern Russia welcomed travellers from all across the Barents countries and beyond. The historical city of Arkhangelsk once again had something to show to the world – a relationship of four nations and their cooperation remarkable to the people living in the North. An important event was about to take place, as Russia handed over the chairmanship of the Barents Euro-Arctic Council (BEAC) to Sweden. 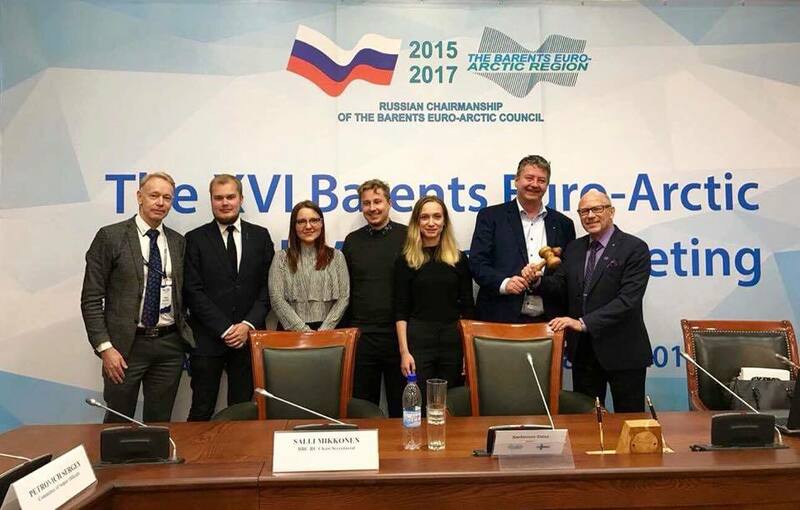 The Barents Regional Youth Council (BRYC) had the honour of attending the XVI Ministerial meeting of the BEAC, which marked the end of the Russian chairmanship. BRYC chair Inna Fedorova, presented her speech to the four foreign ministers, as well as other national and regional representatives of the Barents Cooperation. In her speech, Fedorova mentioned the key achevements of the Barents youth cooperation in the last two years of the Russian chairmanship, and highlighted important youth issues to be considered for the upcomnig Swedish chairmanship. 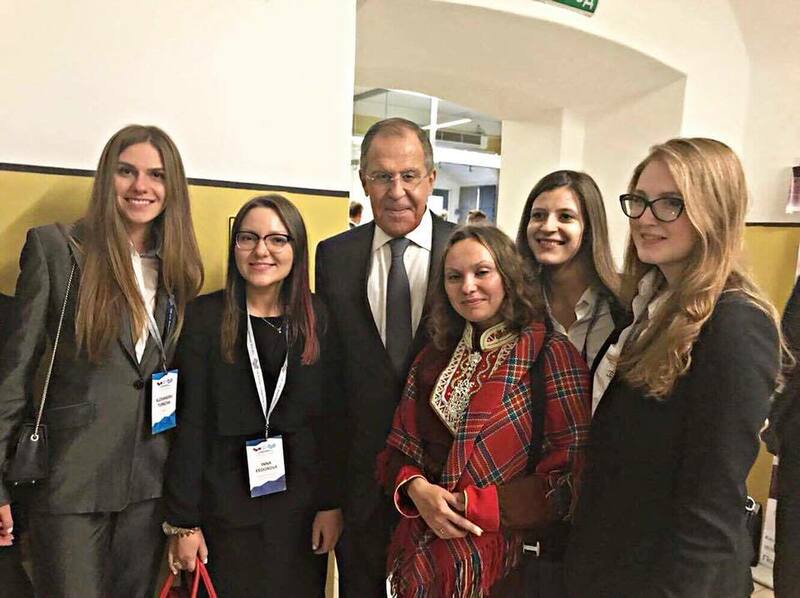 The Russian Minister of Foreign Affairs, Mr. Sergey Lavrov, and the Swedish Foreign Minister, Ms. Margot Wallström, both underlined in their remarks that youth issues will be a priority in the following two years of the Swedish chairmanship of the BEAC. Earlier that week, BRYC board members Inna Fedorova (Russia), Tim Andersson (Sweden) and Tuure Vairio (Finland), and youth coordinator Elizaveta Vassileva (Norwegian Barents Secretariat), took part in the meetings of the Barents Regional Committee and the Regional Council. Also on the regional level, a rotation of chairmanship took place, this time from Kainuu region (Finland) to Finnmark County (Norway). BRYC had the opportunity to speak on behalf of youth with regional officials about the possible ways of strengthening youth cooperation in the region. Looking back at the last two years, BRYC would like to express its sincerest thanks to the Kainuu regional chairmanship, the Russian national chairmanship, the Norwegian Barents Secretariat, the International Barents Secretariat and many others for the good cooperation and support in the last two years, wishing a warm welcome to the new regional chair Finnmark and national chair Sweden. BRYC is looking forward to continue the fruitful dialog with the new chairmanships. Among the key priorities in the upcoming period for BRYC will be to increase the number of youth cooperation projects, to strengthen cooperation with the Joint Working Group on Youth, and to increase the visibility of youth cooperation in the Barents Region. The hospitality of the Russian hosts in Arkhangelsk was heartwarming. Despite the rainy and cold weather, the atmosphere of the Northern neighbors was warm and friendly. After the meetings, a small delegation of BRYC’ers left the city. During the trip back to the airport it started snowing – as if nature was telling them to welcome winter, saying that the year is slowly approaching its end. But cooperation is something that will continue.